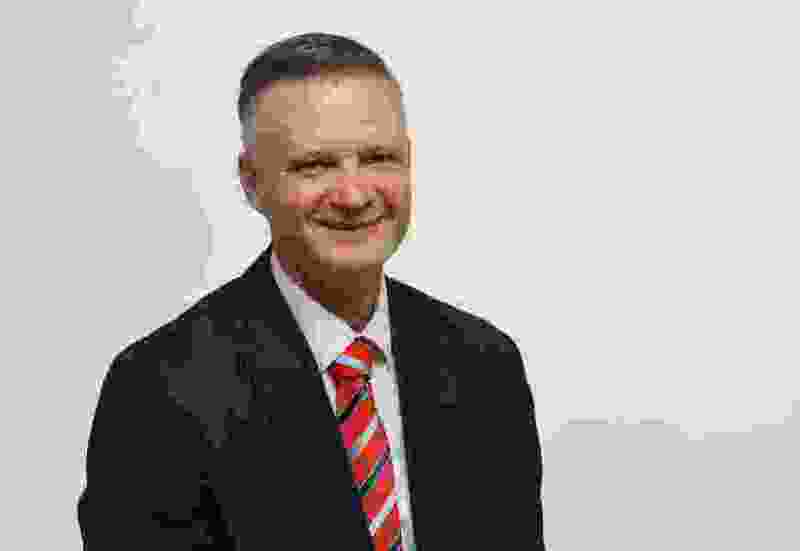 Gehrke: I’m bad at predictions, but why should I let that stop me? Here’s what will happen in 2018. I predicted independent presidential candidate Evan McMullin would win Utah and Hillary Clinton would win the White House. I also thought my Detroit Lions would finally win the Super Bowl. Actually, even I never thought the Lions would win it all. The point is, when it comes to making predictions, I’m basically Not-stradamus. But my resolution for the year is not to let the last crushing humiliation keep me from the next, so here are a handful of fearless predictions that have at least a 75 percent chance of being completely wrong. (Andr Chung | special to The Salt Lake Tribune) Flanked by his security staff on the left and Matt Whitlock, his communications director on the right, Sen. Hatch makes his way to a luncheon in Washington D.C. on December 21, 2017. Senator Orrin Hatch is the senior senator from Utah, Chairman of the Senate Finance Committee and President pro tempore of the United States Senate. Orrin Hatch promised he wouldn’t run again, then backed away from that. He’s teased us, promising to make a decision by the end of the year, then didn’t. He’s being lobbied hard by the White House to stick around and is, like it or not, one of the most powerful political figures on the planet. Plus The Salt Lake Tribune’s editorial board called on him to retire, so that’s a powerful incentive not to. Maybe passage of the tax bill makes it easier for Hatch to ride into the sunset. I don’t think so. I think Hatch is running for what would be his eighth term. “Nobody else can do for Utah what I can,” he’ll say, and that will be that. He’ll draw a challenger, probably a few, on the Republican side — just like he’s already got challengers in the Democratic camp — but a wager on the Lions would be a better bet than overcoming those odds, and Orrin will steamroll to victory. I also suspect, at some point, perhaps during the campaign, he’ll announce he won’t serve the full six years. He has two years left as chairman of the Senate Finance Committee, and heading into the 2020 election it’s possible Republicans will be set up to lose control of the Senate, assuming they manage to hold onto it in 2018. Hatch will serve out his two years and set up a special election in 2020 — where Mitt Romney will be nothing more than an observer. 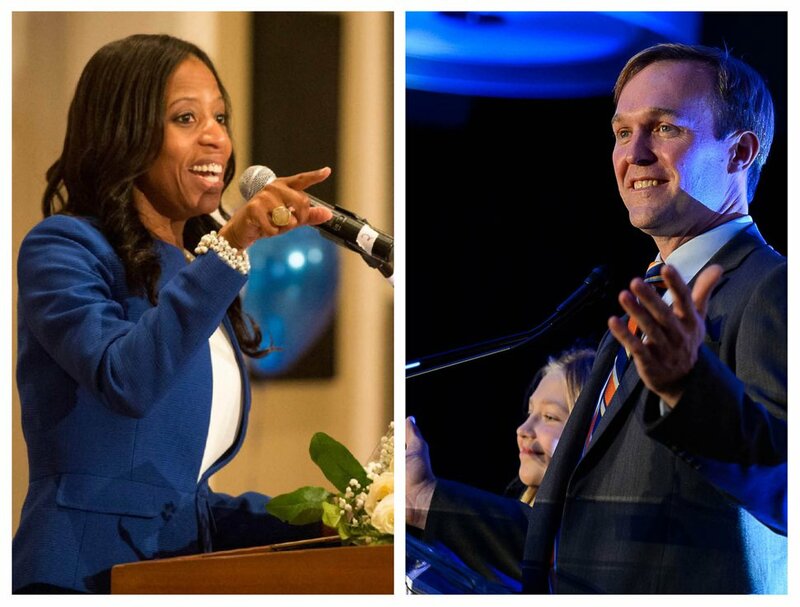 This is a really hard race to read, and with incumbency and money on her side, Rep. Mia Love is the favorite to hold onto the 4th District seat. She beat Doug Owens by 12.5 points, a pretty safe margin, although still slightly underperforming the natural partisan tilt of the district. But Salt Lake County Mayor Ben McAdams is not Doug Owens. Most of the 4th District voters are in Salt Lake County and know him; many — if not most — have voted for him at least once. Love will find it difficult to counter McAdams’ message that Congress isn’t addressing the problems in the district (since Congress hasn’t really done much) and Love is part of the Trump machine. According to fivethirtyeight.com, she votes with Trump 97 percent of the time, more often than her Utah colleagues Rob Bishop and Chris Stewart. She has already tried to paint McAdams as a Clinton lackey, but that naturally puts her further into the Trump camp, and that won’t be a good place to be — nationally a generic Democrat is running 13 points ahead of a generic Republican. McAdams has worked closely enough with local Republicans that it will be difficult for them to attack him. Nonetheless, the race will get nasty, with Democrats seeing a real shot to take over the House, and a ton of outside money will pour in on both sides. In the end, it will be very, very close, but I think McAdams pulls it out in a squeaker. 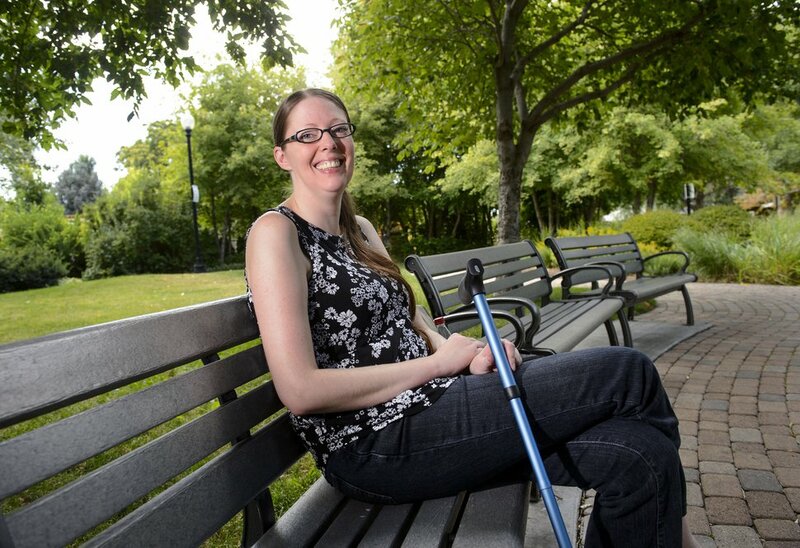 Steve Griffin | The Salt Lake Tribune Amanda Ellis-Graham was diagnosed with MS about 20 years ago and struggled for a long time on the numerous prescription medications she had to take. She was having vision and hearing problems, terrible vertigo and her body would go numb. When she tried medical marijuana, everything changed and she did much better. So she obviously is very much in support of the ballot initiative, like the 77 percent of people polled in our most recent poll. She was photographed in a neighborhood park in Salt Lake City Friday July 28, 2017. The stories of those who would benefit from the initiative to legalize medical marijuana are heartbreaking, and the proponents are working tirelessly. Polls also show there is broad support. And we know if it’s left to the Legislature, the issue will get slow rolled for years, while some Utahns suffer needlessly. But when it comes down to it, I have a hard time believing The Church of Jesus Christ of Latter-day Saints will stay silent, and when the church speaks, a large portion of the state listens. It won’t automatically doom the initiative, but combine a pronouncement from the church with Reefer Madness scare tactics from opponents, and possibly some meddling from the Legislature, and the prospects dim significantly. Scott Sommerdorf | The Salt Lake Tribune Rep. LaVar Christensen, R-Draper, only won his seat by three votes in 2016. State Democrats will look to defeat him in 2018. Utah Democrats have been hovering around historic lows, but there is a chance they’ll make inroads in the 2018 election. In fact, I could see Democrats picking up as many as five — but more likely three — seats in the state House and one, or possibly two, Senate seats. Draper’s LaVar Christensen won by just three votes last time and obviously is the most endangered member of the House. In the Senate, the special election for Sen. Brian Shiozawa’s Cottonwood Heights seat would be the most likely Democratic pickup. Gaining three in the House and one in the Senate would still leave Democrats outnumbered 59-16 in the House and 23-6 in the Senate, so Republicans would still call the shots. But if you’re beleaguered Democrats, you have to eat the GOP elephant one bite at a time. • Chaos will continue to emanate from the White House. Special counsel Robert Mueller will have more indictments. Trump’s Twitter barrage will not let up. Congress will accomplish little and Republicans there will become increasingly irritated and jittery as elections approach. They’ll lose the House, House Speaker Paul Ryan will lose, but Republicans will hold on to control of the Senate. • The Utah Jazz are a handful of games on the downside of .500, but once Rudy Gobert returns from a knee injury, he and Donovan Mitchell will rally the team. They’ll even make the playoffs — probably getting the Golden State Warriors dreadnought in the first round. • Despite the objections of Rep. 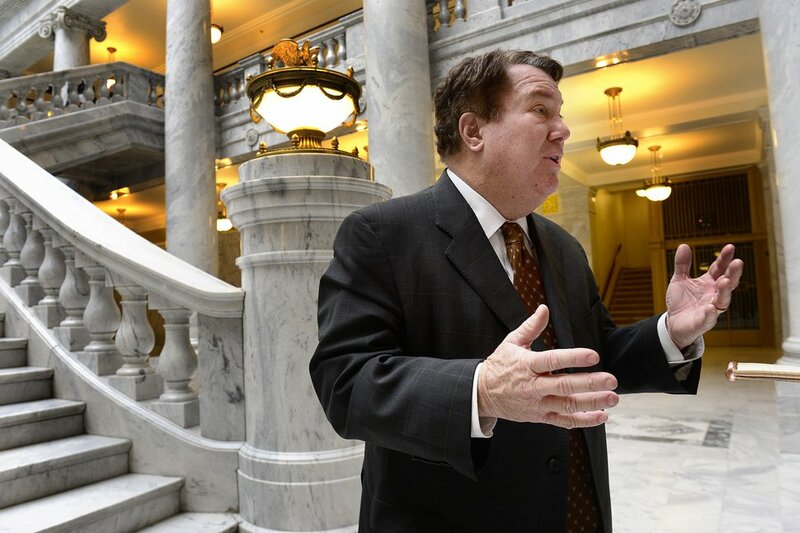 Norm Thurston, who sponsored the bill making 0.05 the legal blood alcohol limit for a DUI in Utah, the Legislature will adopt a tiered system, making 0.05 impaired driving and an infraction. Changes to Utah’s 3.2 percent beer restrictions will wait until 2019. • A workable hate crimes bill will pass the Legislature and be signed by the governor. • Rep. Chris Stewart’s rotten bill to create a national park in part of Grand Staircase-Escalante National Monument will pass the House but get stuck in the Senate. • The folks who run The State Room will open a new music venue in Salt Lake City, letting them draw bigger shows and marking a terrific addition to the city’s music scene. • The Detroit Lions won’t win The Super Bowl. As I said, the only sure thing is that most, if not all, of my predictions will be wrong. But if things were predictable, they’d be boring. Send me your predictions for 2018 via email at gehrke@sltrib.com or on Twitter @RobertGehrke and we’ll share the pick of the litter later in the week. Correction: Jan. 2 9:10 a.m. >> An earlier version misstated how many terms Hatch will have served if he runs and wins again.